Anyhow.. Today's outfit consisted of my favourite cartoon, Peter Pan. Well obviously not literally as I sadly don't own a green pair of tights or a rather fetching hat. I wore my lace Peter Pan collared top, which is a little treasure from Topshop. 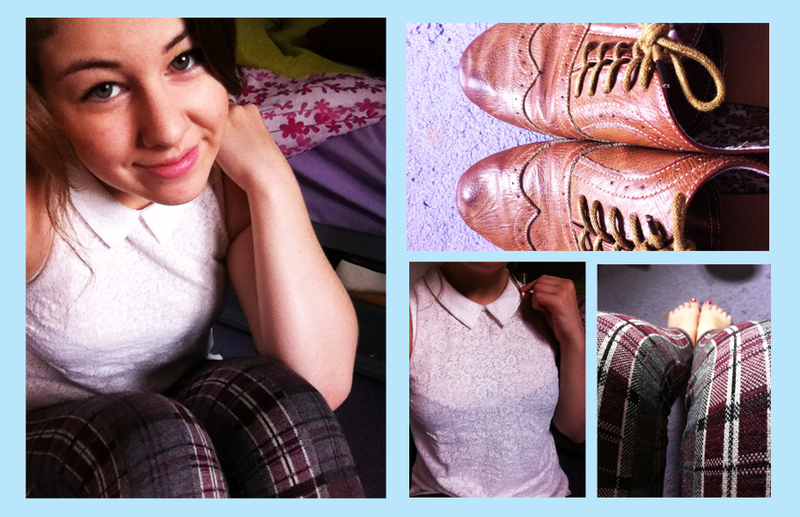 I then paired up my tartan leggings to match a little 80's grunge with a cutesy girly vibe. Finally my brogues and a light pinky tint for my lips.